It was in May 2003 when I at last get some of the very nice Rodan CD47 Tubes. 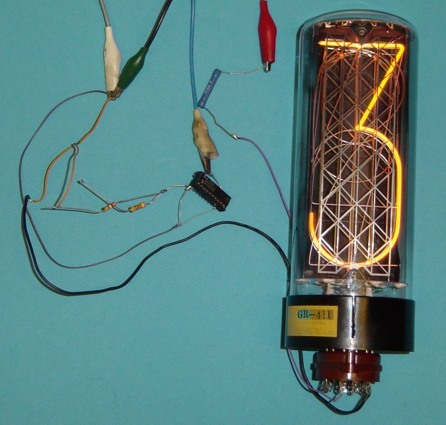 I decided to build a CD47 Nixie Clock. I thought that it would be interesting for some Nixie enthusiasts to see the building process. So I statred this site, which I will update step by step. Switched on/off and regulated by the CPU of the clock. Stand by mode: Nixies will be switched off when nobody is around- this will keep them alive as long as possible. The sensors for the detection will be a ECM (microphone) and a radar sensor. I built up everything around a STR-S6707 switching regulator. You can download it's datasheet. As you can see there is nothing to adjust, but the output voltage 170V. 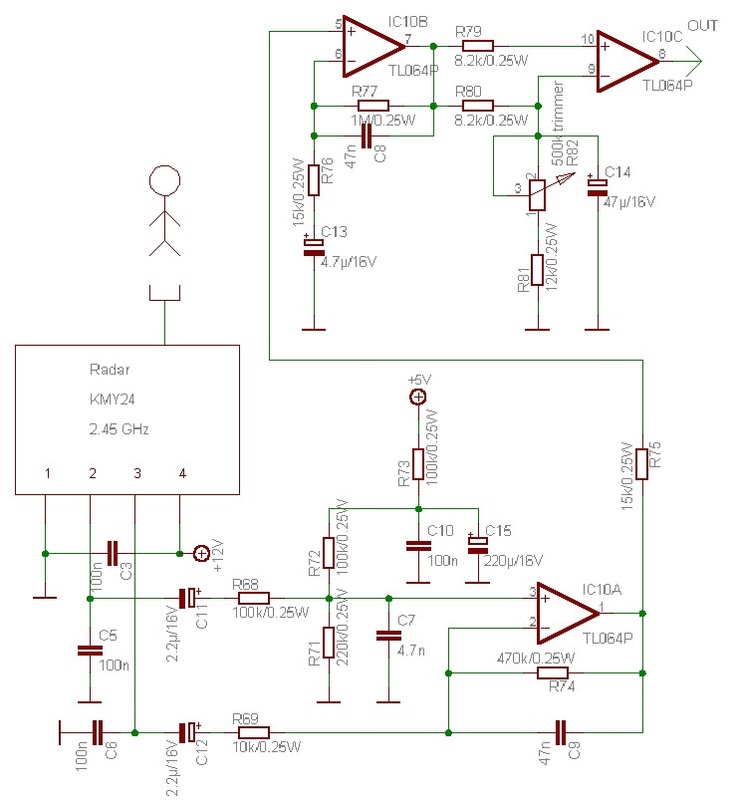 This can be done by a pot for the test- phase, and later by the CPU by PWM- modulation. I started this website arter already made the experiments with the supply, so I unfortunately have no pictures of the experiments. Click on image ot enlarge! You can see the primary and secondary separation very well. 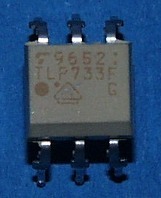 It remembers a SMPS in a TV-set or PC-monitor. Then I soldered the capacitors, transistors and other parts. Peter Stonard @ neonixies asked me to put the eagle files online for download. there's little space at the board. 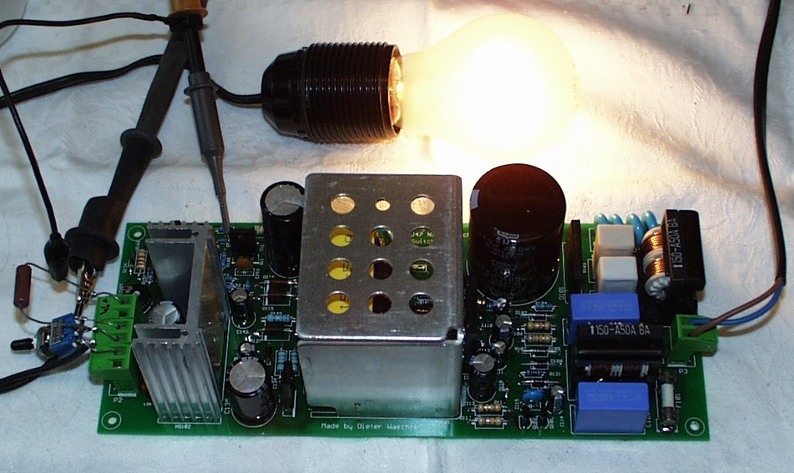 The output voltage is adjustable from 160 to 180 Volts by the pot (later by the CPU). The Stand- By- Mode also works perfect. When switched to stand by, the 5V- CPU voltage shows no voltage drop, not even any move of the meter. You can short any output, you can leave the output open, you can do what you want. It works. The CD47 tubes may be switched on, when a noise occurs (door opened, TV turned on or something like this). 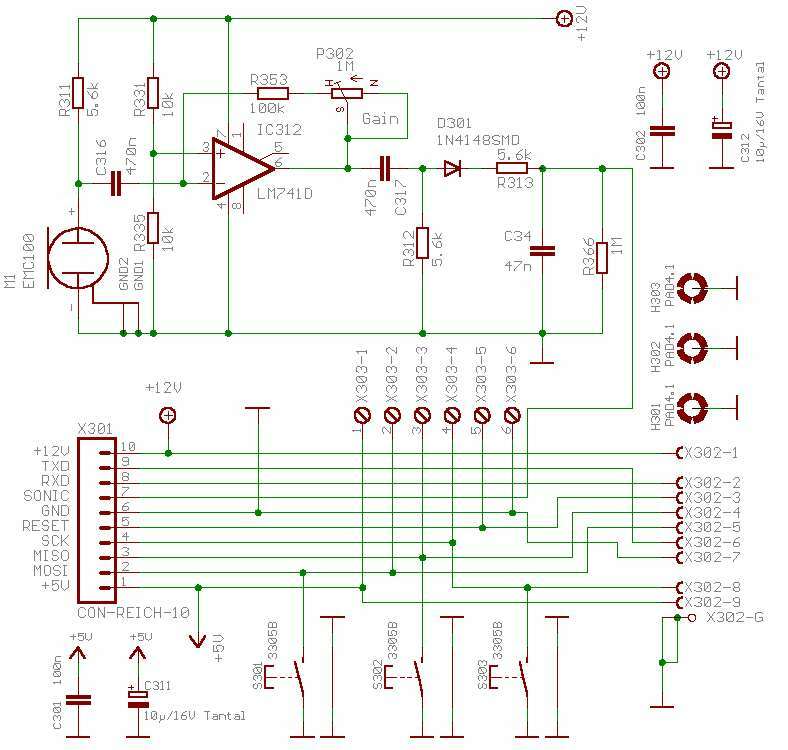 I developed a simple sonic- sensor with an ECM which will be connected to the controller (analog input). I first planned to let it work on the 5V- stand- by- power. 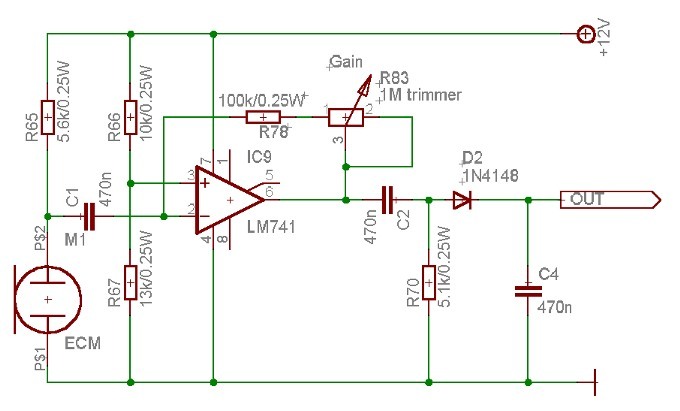 But as I use a radar sensor, which needs 12V to work, I planned a small DC-DC (5 to 12V) for the Radar- Sensor and for the Acoustic- Sensor. output => DC- voltage (range 0 to 5 volts). The voltage depends to the ambient noise- level. 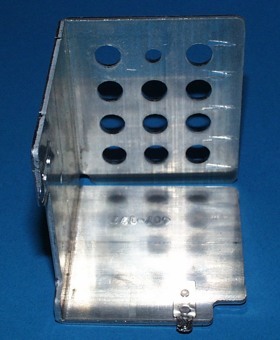 M1 is a standard 2-pin ECM. It's powered by R65. IC9 is a 741 OP. It works in single supply mode, while the output is not set to UB/2, but to 7V. This is for to get only 5V max. at the output. C1 and C2 are for the AC- coupling. R70 is necessary to charge/ decharge C2. 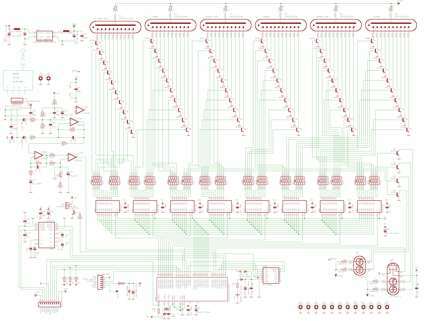 This schematic may be used for every Nixie- Clock. You don't need a processor. You also can use the output to trigger a longtime- monoflop. This is not the board I'll use in my clock of course- it's only an experimental- board. Not nice, but very quick! The CD47 tubes may be switched on, when a movement occurs (door opened, people moving around or something like this). This I'll solve with a Radar- sensor which will be connected to the controller (digital input). 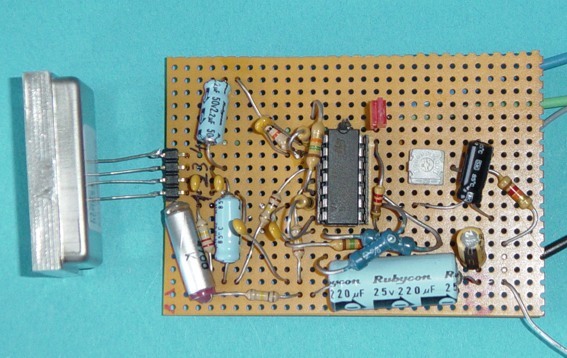 output => Digital output (0/5 volts). I've choosen a Siemens KMY24 to meet this conditions. The KMY24 is a radar- sensor which uses the doppler effect. 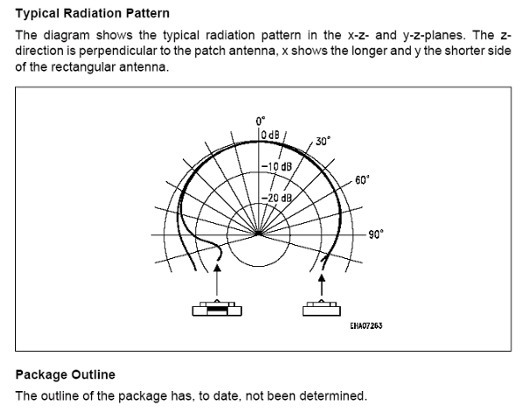 It's simple to use and provides 2 phase- shifted doppler- signals. The signals run through some filters. 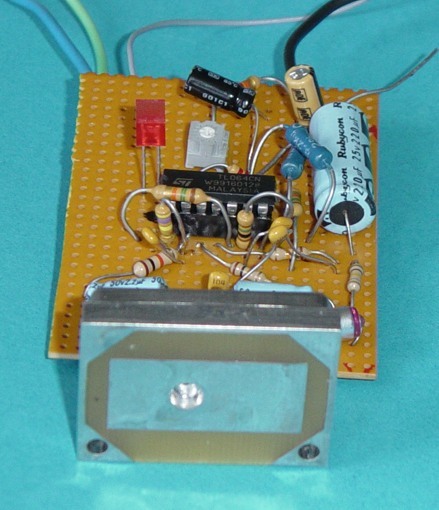 As you can see, the first OP Stage is a typical differential amplifier. 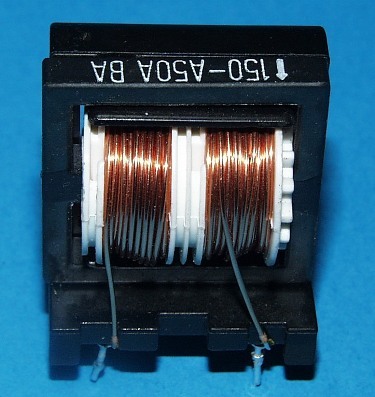 The second stage also a filter, and the third stage is just an impedance-transformer. R82 adjusts the sensitivity. 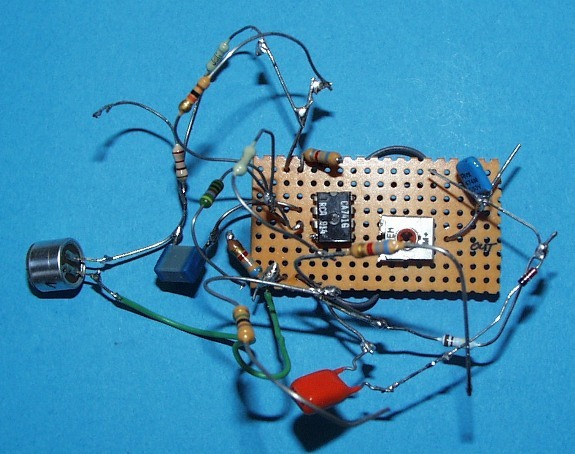 The output provides the 0/5V rectangular signal for the Microcontroller. It works very well, and the max. detecting range is about 7m. 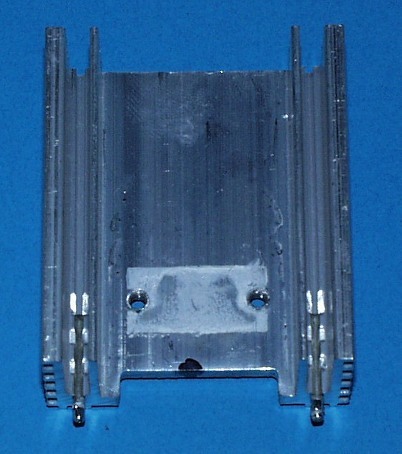 J.C. Wren @ neonixies asked me for the datasheets for the KMY24. Here it is. 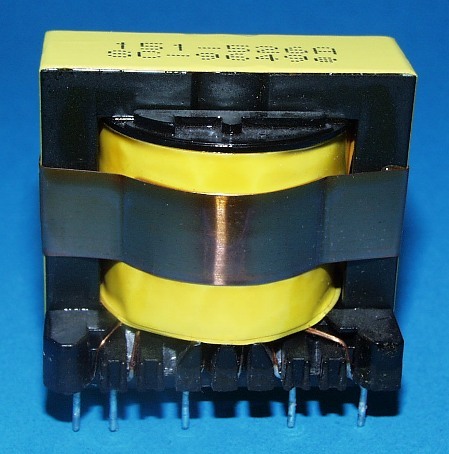 The CD47 can not be driven by 74141 or 7441 nixie drivers, because the operating current is to high. So I had to do it in another way. I will get one 8 bid data and one 8 bid adress- bus... easy to drive with every controller. After a longer rest I finally found a little time to develope the Mainboard and the connection- board. I decided to put the microphone and the ECM- amplifier onto the connection- board. I also decided to put a RS232 interface in the clock, so I can use a DFC77 module or a GPS- mouse or any other time- module or equipment for the clock. 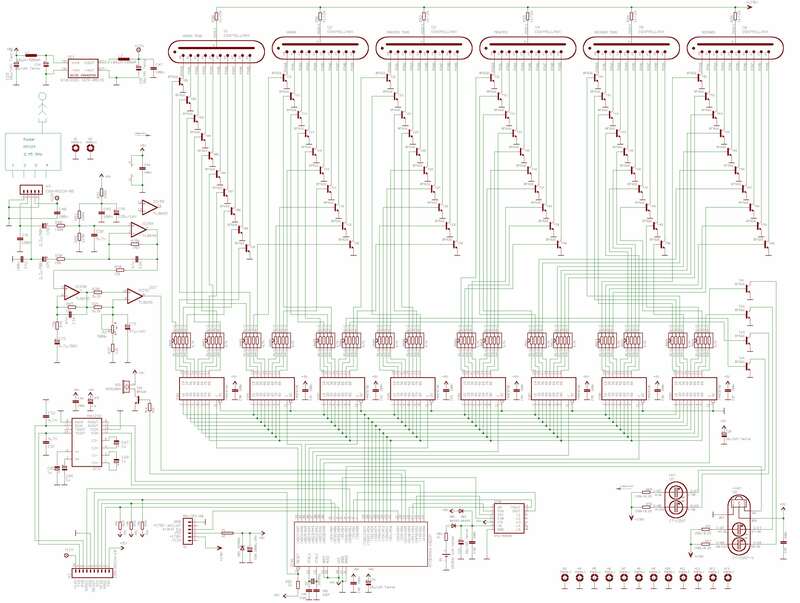 Here you see the finished schematic of the mainboard.CLICK ON THE IMAGES TO ENLARGE! Here you se the finished layout of the mainboard. It's large. It measures: 600x92 mm! Here you see the finished schematic of the connection- board. Here you se the finished layout of the connection- board. Step 7: The mainboard an the connector board is done! Check the measurements: 600x92 mm! Next step will be the bulding of the very special Colon- Tubes and the board- solderings.